She may not have graduated from nursing school yet, but a Colorado woman has already saved a life after she revived her boyfriend when he was struck by lightning. 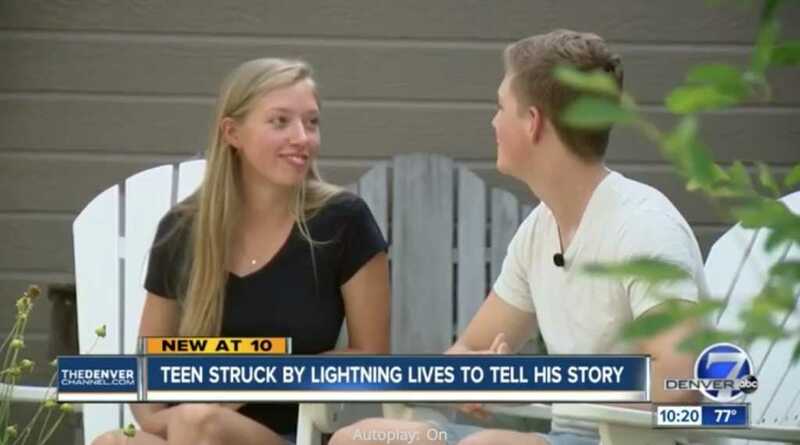 Isaiah Cormier, 18, and his girlfriend, Juliette Moore, were camping at a popular site near Neder, Colorado, on Sunday when Cormier was hit by a lightning strike while standing near the tent they had pitched, KMGH-TV reported. After seeing a flash of light, Moore found Cormier lying face down on the ground without a pulse. Having taken a CPR class just a month before, she sprang into action. Moore said she was thinking about all of the time she had left with Cormier when she worked frantically to revive him. Moore’s immediate response made all of the difference in Cormier’s survival, said Boulder County Sheriff’s Sgt. David Salaman. Although Cormier was hit with about a billion volts of electricity, he was released from the hospital about 36 hours after he was struck. He has a mark on his neck from where he was hit and a few sore muscles. Cormier believes that the electricity jumped to him after striking a nearby tree because he was wearing headphones around his neck. It wasn’t lost on him how lucky he was to have his girlfriend around in that moment. “I was going to die — she brought me back,” he said. Cormier said Moore gave him his life back. “I’m excited to spend the rest of the life she gave me with her,” he said. Moore quipped that she’s going to “win a lot of arguments in the future,” adding that Cormier’s family has now taken to calling him The Flash, asking what superpower he has gained and when his Marvel movie is due in theaters. “You light up my life,” Cormier told Moore. “More than lightning?” Moore asked, smiling. “More than lightning,” Cormier confirmed with a laugh.